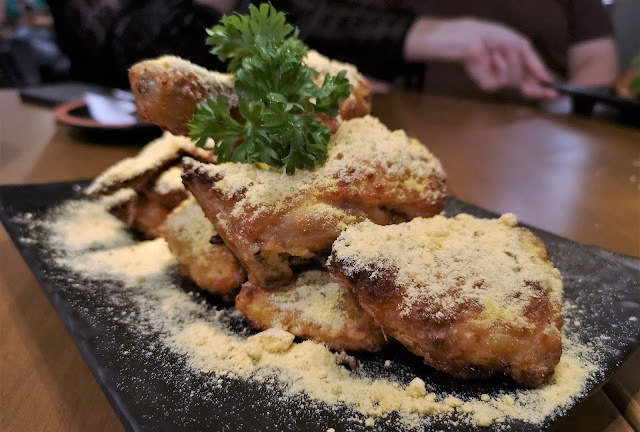 You are here: Home / Food Review / Goobne @ MyTown : Korea No 1 Oven Roasted Chicken is HERE! 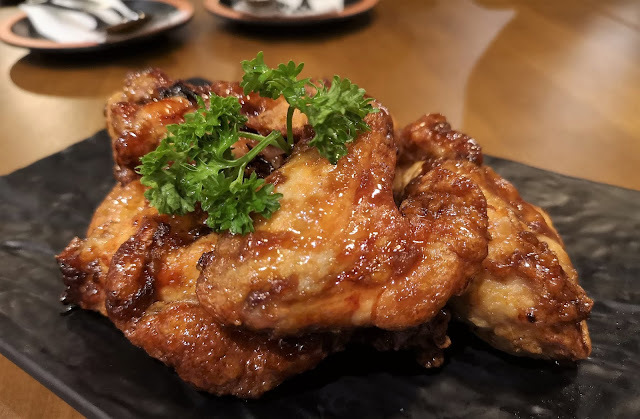 Goobne @ MyTown : Korea No 1 Oven Roasted Chicken is HERE! It’s opening now! Korea No 1 Oven Roasted Chicken is here! 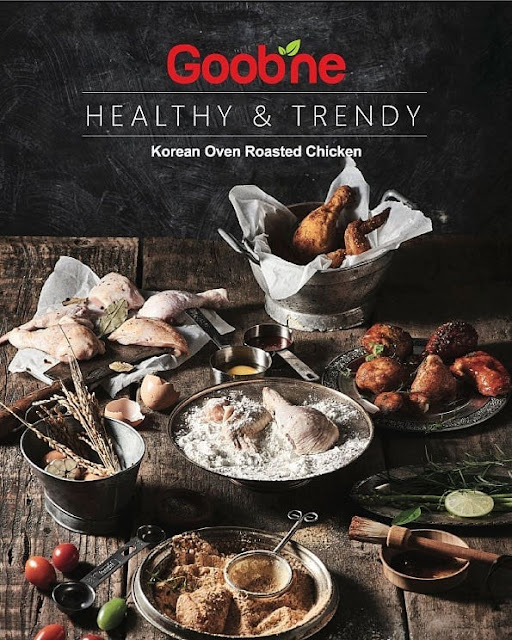 Goobne chicken has become the most popular oven-roasted chicken brand in Korea by serving customers with “healthy chicken” since the brand was launched in 2005. And what makes them special is Goobne chicken contains less trans fat, carbohydrates, sodium and calories since it does not use a single drop of oil during its cooking process.Once the chicken is roasted inside the oven, it will have crunchy outer layer with juicy meat inside, which gives the real taste of chicken itself. And this No 1 Roasted Chicken had made wave in Hong Kong, China, Macao, Japan , Indoneseia and many more. 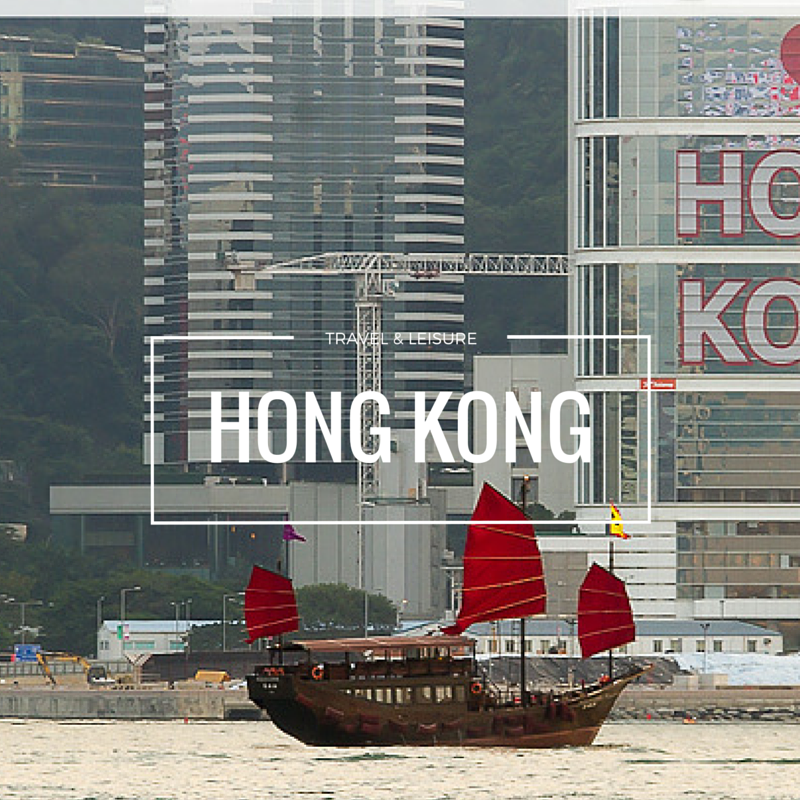 And they just expended their brand to the shores in Malaysia and it in MyTown. 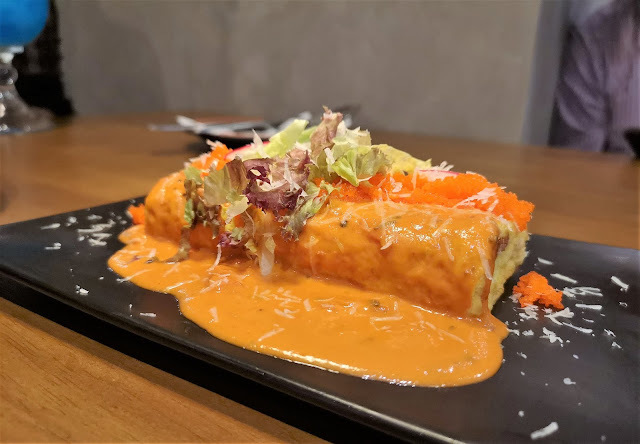 Signature Flying Cheese Egg Roll (RM 18.90). We started our meal with their Signature Flying Cheese Egg Roll. Enjoy the combination of various cheeses rolled up in layers of egg and topped with the flying fish eggs. And it is topped with their special cream sauce. Love their sauces as they come simply flavourful and the eggs are bouncy too. 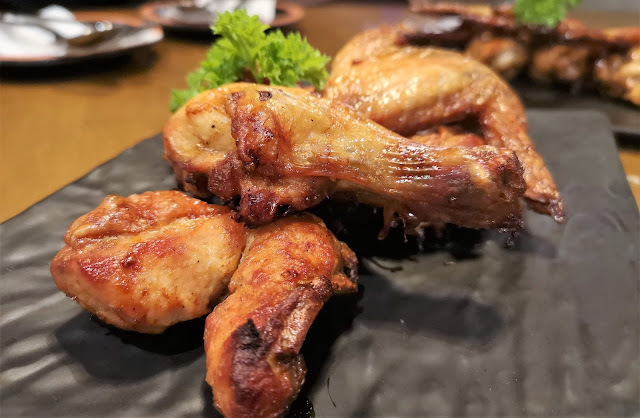 If you are in Goobne assured yourself to order their oven roasted chicken. Goobne comes up with 5 choices chicken wings to go for. 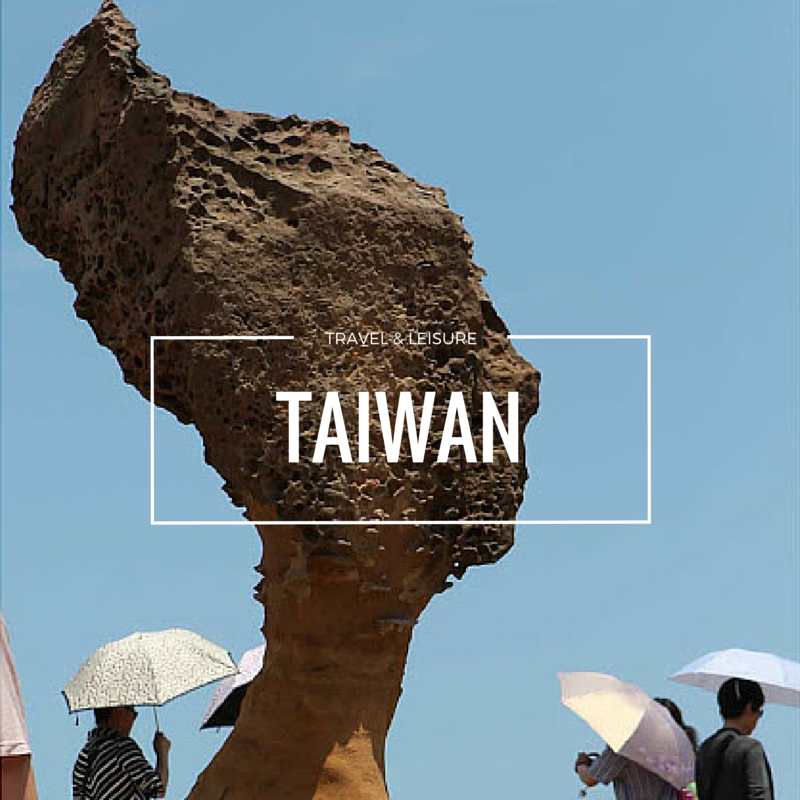 One of their best seller and signature is the Goobne Volcano where the signature spicy chicken is their best seller. 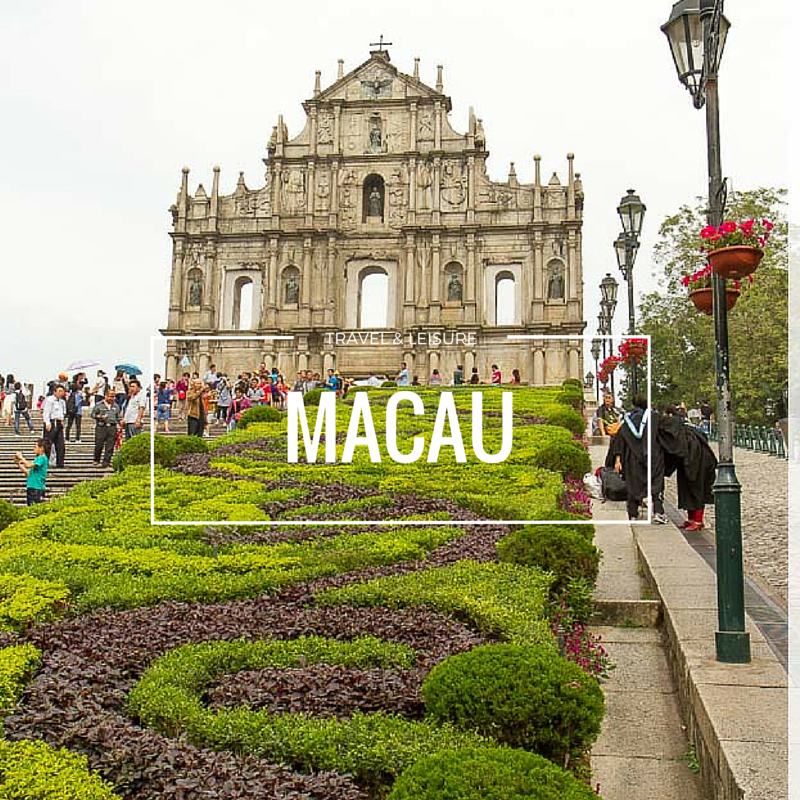 Enjoy the spicy taste of the volcanic sensation where you will definitely fill your mouth with the complete spicy sensation. Beware! This is one of my favorites. I love how the oven roasted chicken is generously coated with the cheese powder. The cheese and chicken make a perfect combination where it brings up the overall taste of the dish with the light sweetness and yet aromatic cheese blend in it. For cheese lover, this is a MUST! If you love some light garlicly dish, this should be one of your favorites. Experience your chicky meal with the lightly garlic taste but the taste is not too overpowering too. Spicy lover should be in love with this. 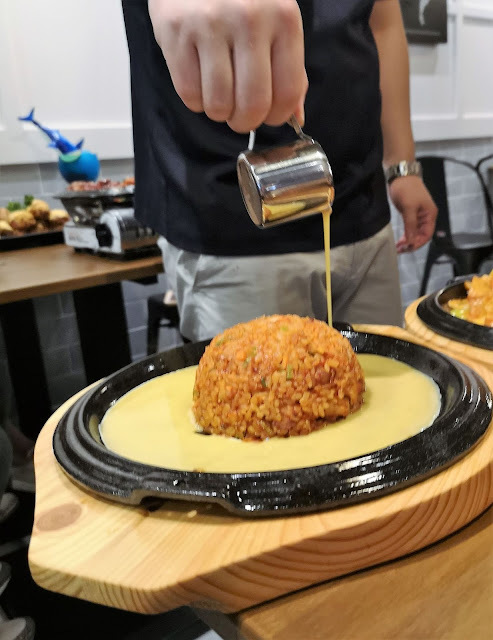 Enjoy their Korean rice cake which is drenched with the spicy volcano sauce and served with the fishcakes and cheese on the hot plate. 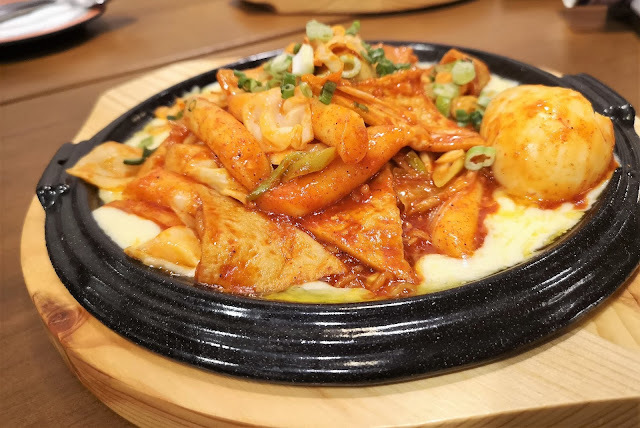 The dish comes simply too spicy to me but the boucy chewy rice cake is just so good. Love the texture but hope they will come with options to tune the spiciness. 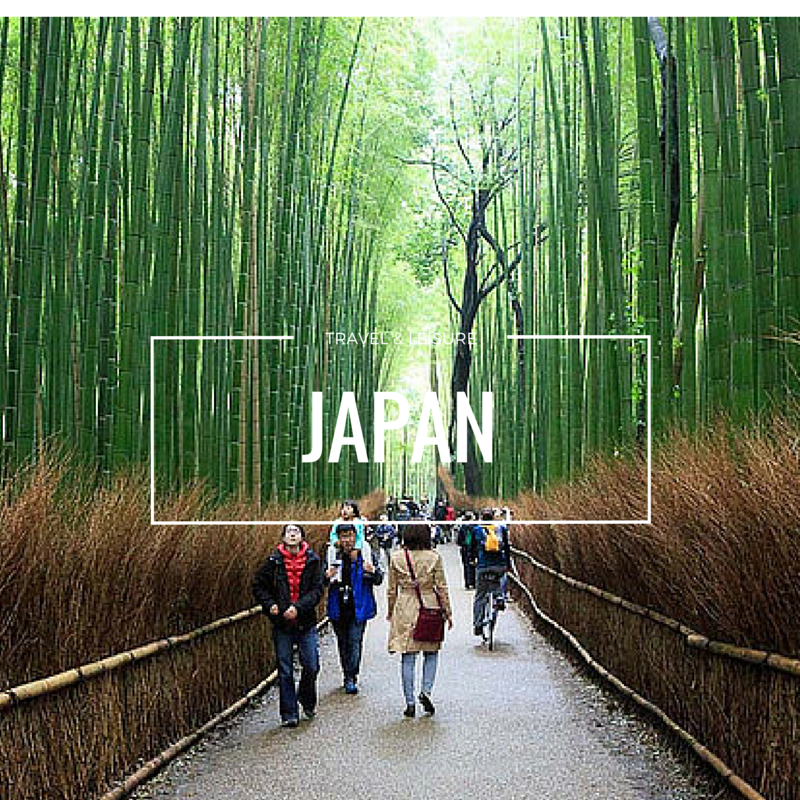 For noodle lover, don’t miss out their Japche (RM 19.90). 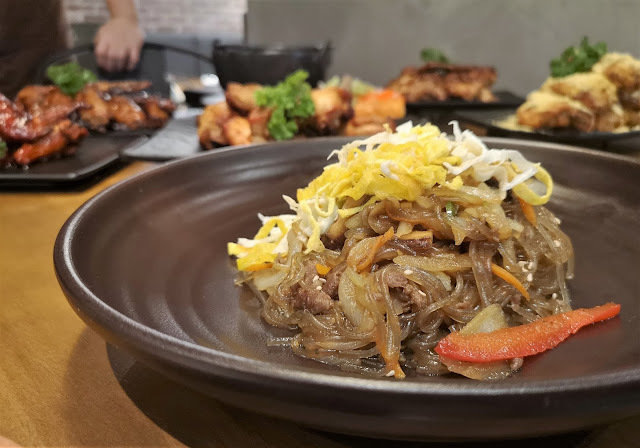 Enjoy this perfectly stir-fried noodles which is accompanied with their beef and mushroms. For me, I love the slurpy noodles and the flavours of the dish itself. For cheese lover, you would definitely in love with this. 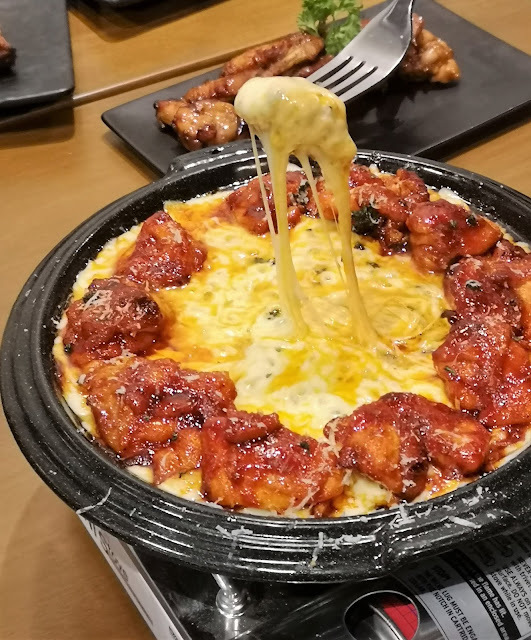 Enjoy this awesome juicy and spicy boneless chicken in the fondue with 2 different of cheese. Dipped the chicken in the cheese and pull them up. Enjoy till the fullest and the dish is so satisfying. This is pipping spicy but addictive. 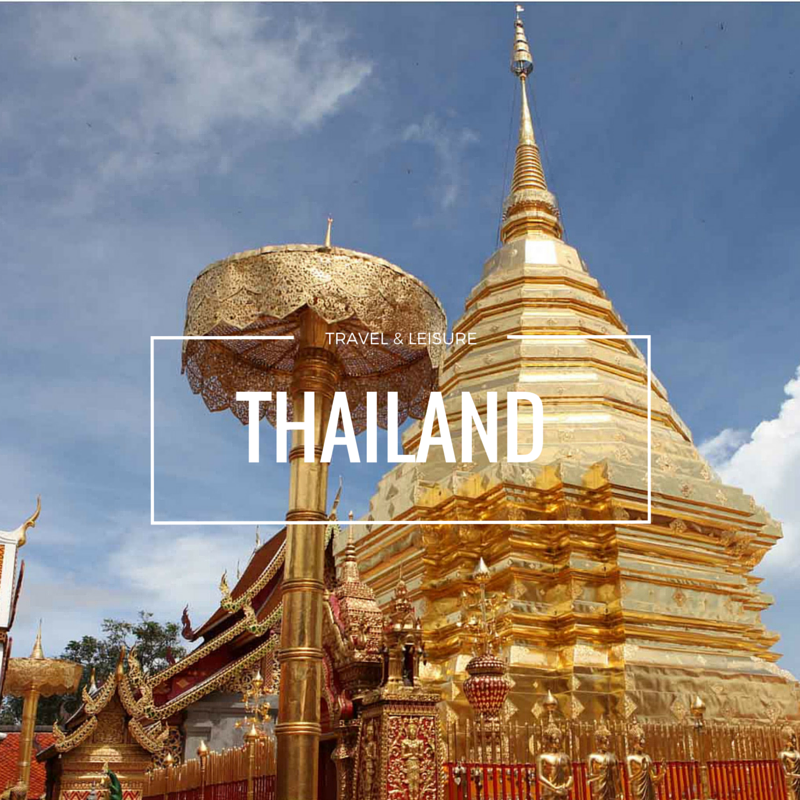 The Goobne Signature Spicy Fried Rice comes with the chicken and egg is served on a hot plate. Nicely done with the kick of spiciness in it. 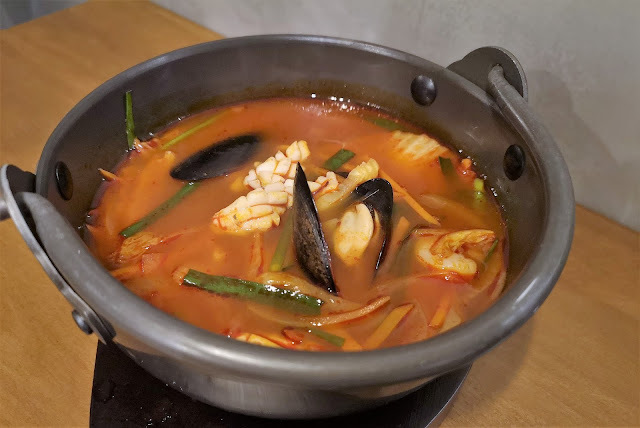 Love to grab a bowl of soup, go for their Seafood Jjamppong Soup where this bowl of soup is packed with ingredients like prawns, squids and mussels. Beware, the soup looks mild at the start and in a while; you can feel the bursting spicy sensation in your mouth. 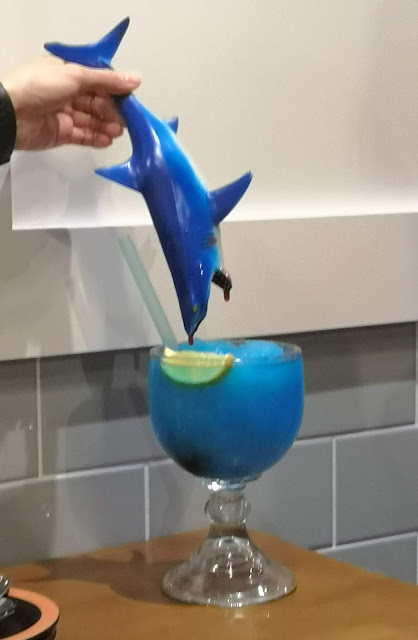 The non-alcahol mocktail comes Instagram friendly too where you can find the shark blood (syrup actually) when you take up the shark from the drink. Such a nice drink to ploy with. 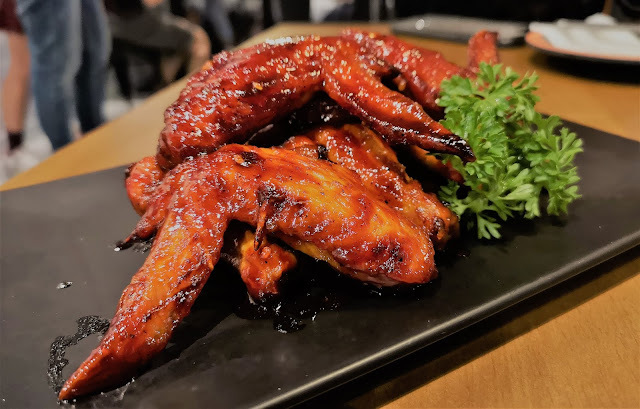 Overall, I love their concept where I am not just enjoying delicious oven roasted chicken but they are a healthier version of it as all their chicken are oven baked without any oil. Healthy and yet delicious.